The U.S. government’s regulatory apparatus is the largest and most complex in the world. Where most countries get by with two financial regulatory agencies, we have nine, depending on how you count. Our most recent major change, the 2010 Dodd-Frank financial law, is over 2,300 pages long and required the agencies to issue more than 22,000 pages of regulations. Complexity makes regulatory compliance expensive – both for the financial industry and for the agencies themselves. Worse, complexity is a subsidy. The more complex the system, the greater the advantage for the largest banks, financial firms, and public companies, who are best able to afford compliance lawyers and consultants. Complexity discourages founders. In 2000, 188 newly-founded banks received charters. In 2015, just one did. During the same period, initial public offerings fell from 381 to 117. These trends are scary. New and growing companies produce most U.S. job growth. Regulatory agencies frequently promise to simplify their rules and de-complexify the information that they collect from the private sector. Over the last three decades, my former agency, the Securities and Exchange Commission, has formed at least four task forces to figure out how to simplify its rules for public companies. (I was on one of them.) Each task force produced a thick report full of recommended changes. (I drafted one of them.) But none of the reports has resulted in action. Why do the SEC’s task forces keep failing? Why can’t our government simplify its regulatory structure, rules, and disclosures? Because every substantive change to the regulatory apparatus arouses political opposition. Most agencies, rules, and disclosure forms have some constituency depending on them. Getting rid of an agency, simplifying a rule, or modifying a disclosure form is very hard to do. Fortunately, RegTech offers a way out. The UK’s Financial Conduct Authority defines RegTech as “the adoption of new technologies that facilitate the delivery of regulatory requirements.” RegTech doesn’t eliminate any agencies, simplify the subject matter of any rule, or change the information that the private sector must disclose to regulators. RegTech modernizes the methods of regulatory compliance, not the substance. How does RegTech work? First, regulatory agencies must set standards. They must permit the private sector to comply using data, instead of old-fashioned documents, by specifying the data fields and structure. The information being reported by regulated firms and companies to their regulators needn’t change. The format does. Second, RegTech companies have to produce software that allows the private sector to modernize compliance processes and helps agencies (and investors) analyze the data, once it’s reported. Third, the private sector and the agencies need to start using those solutions. What is RegTech’s track record? It’s already impressive. In 2008, the Australian tax agency started a RegTech program called Standard Business Reporting, in which multiple regulatory agencies – tax, securities, statistics, retirement, and others – adopt the same data standards for the information they collect. This means Australian RegTech software can help companies comply automatically with multiple requirements at once. Companies report the same subject matter they always have – but because the information is reported as standardized data, not documents, it flows automatically. Standard Business Reporting saves Australian companies over $1 billion per year, and it’s not even mandatory yet. How long will it take for RegTech to have a similar impact in the United States? What can we expect from Congress and federal regulatory agencies? Congress will introduce RegTech legislation. Our Coalition has been working with Congressional supporters to craft legislation that will require regulatory agencies to take the first step of RegTech: adopt predictable data and modernize the method, not the substance, of compliance. We believe an announcement of the new legislation is coming very soon, and we’ll be celebrating those Congressional leaders at my organization’s Financial Data Summit presented by Donnelley Financial Solutions in Washington on March 16th. The Legal Entity Identifier will empower RegTech in the United States. Around the world, financial regulatory agencies are adopting a single number, the Legal Entity Identifier (LEI), to identify the companies and firms they regulate. 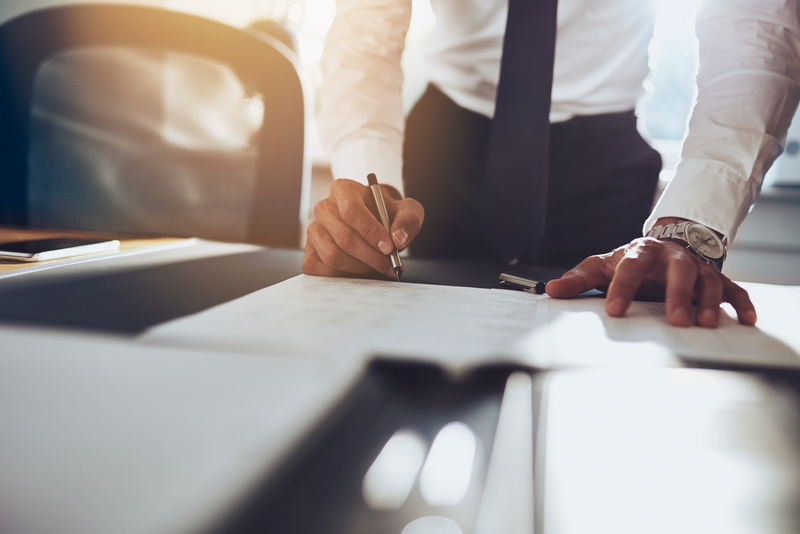 With businesses identifying themselves the same way across multiple regimes, RegTech analytics tools can more easily make connections. The LEI is about to take off in the United States in 2017: even non-financial agencies, like the Federal Energy Regulatory Commission and the General Services Administration, are considering adopting it to track companies. Stephan Wolf, CEO of the Global LEI Foundation, the nonprofit that runs the whole system, will be speaking at the Summit. Regulatory agencies will announce new RegTech data standards. Last December, right before she left the Securities and Exchange Commission, outgoing Chair Mary Jo White told the Senate Banking Committee that the agency is ready to announce the inline XBRL data format, which will require public companies to file financial statements that are both human-readable and machine-readable, enabling RegTech analytics. Expect the SEC to take this action once President Trump’s replacement is in office – and expect other agencies to make similar data standardization announcements that give birth to new RegTech applications. We’ll be hosting the RegTech leaders of the SEC, FDIC, Federal Reserve, CFPB, and other agencies at the Summit. RegTech can rescue our economy from regulatory complexity – if our government embraces it. My three predictions are three major first steps. All three predictions are easily falsifiable! 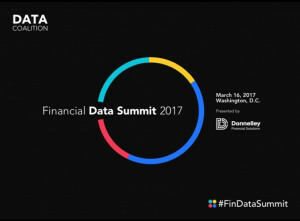 Join us at the Financial Data Summit, follow us on Twitter, set up a RegTech news alert, and see for yourself if I’m right.